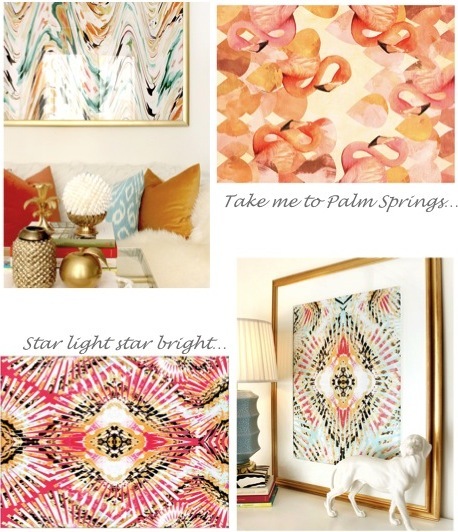 Recently, I was "pinned on" to a fabulous collection of affordable art prints, Cozamia. The artist, Nancy Ramirez, uses portions of colorful abstract paintings and elements of photographs to rework digitally into something new. She is inspired by everything from fashion magazines to nature and always adds a happy element of surprise to her work. One of the things I love most about Cozamia prints, besides the price (average $35 to $130) is the unique combinations of high color saturation and the way each piece can convey a mood through design. I also happen to love the way the art is styled on the website, which shows you how to use the bold pieces to bring a room to life. I'm eyeing Brittle Stars in baby blue for my home office. Do you have a favorite? They are all lovely! Great colours and a wonderful addition to any room! 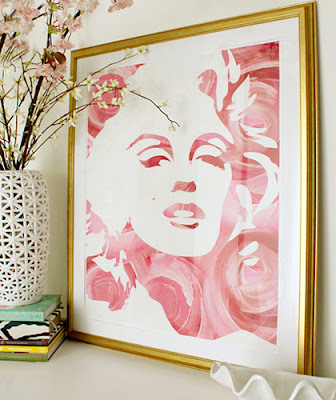 Holy shiz, I am loving the Marilyn Monrose print and the Electric Garden print - Incredible! I have become obsessed with peonies.. need those peonies! I've seen a few of these in rooms I've pinned! Fabulous to know the source, I really love them, especially the Monroses and the Peonies! I am IN LOVE with that flamingo print. I think I need to just go ahead and order it. Nancy is so talented! I love the art!! I wish I could to paint like that, those artist make it look to easy!! Any of them would be perfect for my apartment! These are all gorgeous! I want ALL OF THEM! Great post - thank you for sharing! Love Cozamia! I've had Night Peonies on my wish list for a while now. I hadn't seen the Marilyn Monroe piece before - it's stunning! I love the Marilyn Monroe one. I have a collection of different Marilyn prints at home so will definitely be checking this site out. 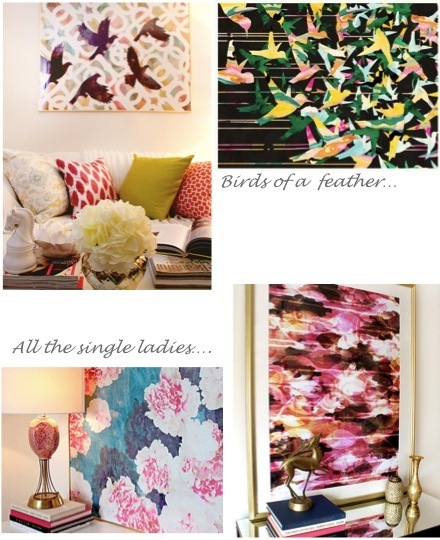 I love LOVE the night peonies print...so beautiful:):) Love your blog! Great prints, great prices. What more could you ask for?